Wonderful living in a rural setting. It's a 3BR 2ba, well designed manufactured home with bolted down shipping containers attached to the garage for a storm shelter. Spacious kitchen with island and INCLUDES ALL APPLIANCES! MBR has walk in closet, private bath with garden tub and shower. 8" well installed a few years back. You'll love the garage setup. 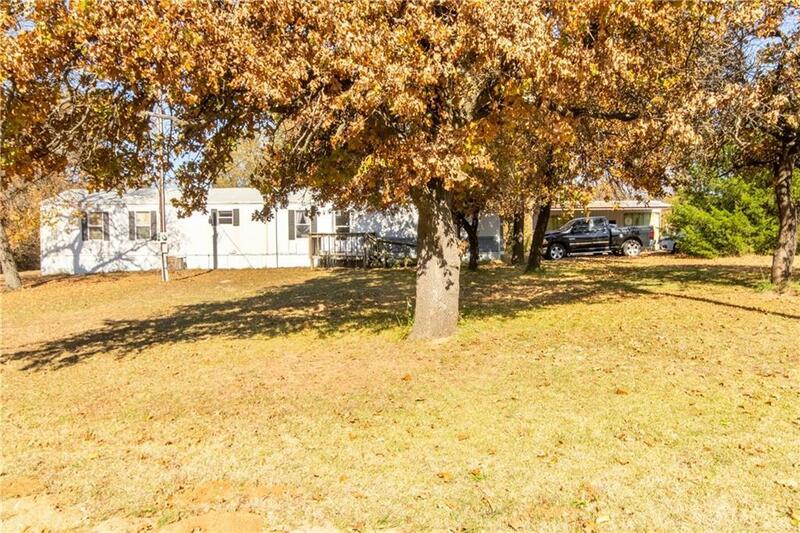 home is 1216 sqft+- 1.52 acres. Full price offer includes home warranty from Home Warranty of America. This home can also be purchased with lot 39 vacant land located at 9 Deer Run (1.26 AC) for a total of 2.78 acres +- at $70k. Enjoy rural living in a great location and the highway is only a few minutes away.